Hello, friends!! Stop everything! Put down the canned cranberry sauce. We can do so much more with this amazing fruit. I’m on a mission to redeem the cranberry from its sad little reputation of the obligatory odd, wobbly blob that everyone passes by on Thanksgiving day. This beautiful, delicious fruit can absolutely compete with all the other mouth watering dishes on Thanksgiving. And not only that, but my girl the cranberry can have the staying power to be a favorite all through your fall and winter seasons. I’m not exactly sure why I believe the cranberry to be my girl, but in my mind, we’re friends. And she’s a girl. But I digress. Back to my cranberry redemption mission. 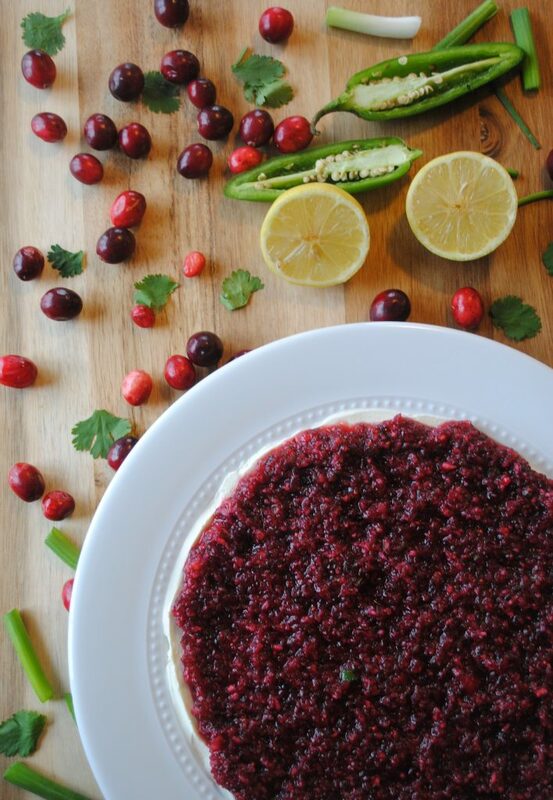 I have not one, but two delicious cranberry recipes for you to further the cause: Instant Pot cranberry applesauce and today’s cranberry jalapeno salsa. This is the best holiday dip that will carry you through all your fall and winter festivities! 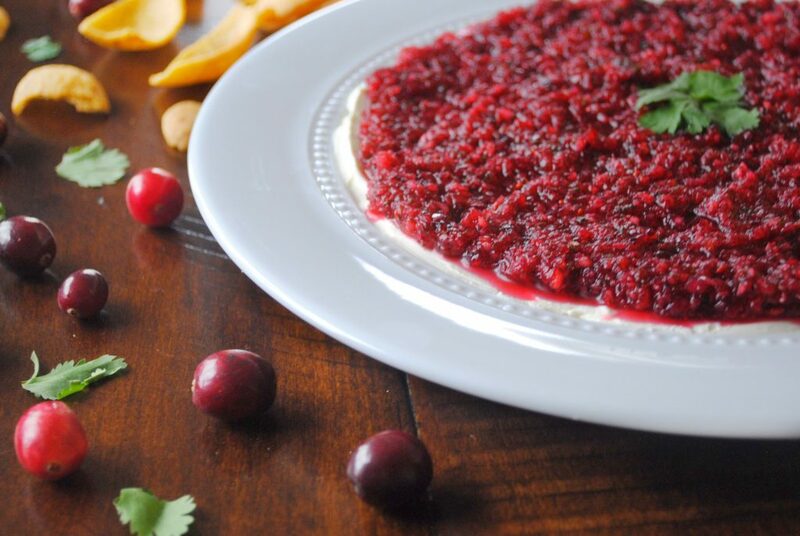 Cranberry jalapeno salsa is one of my go to staple dishes from Thanksgiving all the way past the Super Bowl. It is seriously amazing. The perfect mix of sweet, spicy, and tart. And it’s just a little bit different than some of the more traditional appetizers. Better yet, it’s make ahead and even freezable. Yes, freezable! If you’ve been reading my blog, you know I am a huge fan of utilizing freezer recipes. Life is busy and the holidays are even busier, so freezing foods helps me tremendously. Prepare a dish when it works for you, and then pull it out later to help lessen the stress and enjoy the day. It’s also perfect for last minute gatherings providing a ready made dish on short notice. This recipe is super simple. First, grab your food processor. My favorite is this Cuisinart model. Halve and seed one jalapeno. Rough chop your green onion just enough to fit in your food processor. Place jalapeno and green onion on the bottom of your food processor. Dump a 12 ounce bag of cranberries over top of the jalapeno and onion. Juice one large or two small lemons. Add your cilantro, sugar, salt, and cumin. Pulse the food processor until all ingredients are finely chopped and well mixed. Refrigerate mixture in a container and let flavors meld overnight. The mixture can be stored in the refrigerator for several days before serving. When you’re ready to serve, spread softened cream cheese on a serving tray and cover with cranberry jalapeno salsa. Serve with your favorite cracker or corn chip. I typically serve with both, but our favorite way to dip is with Fritos corn chips. 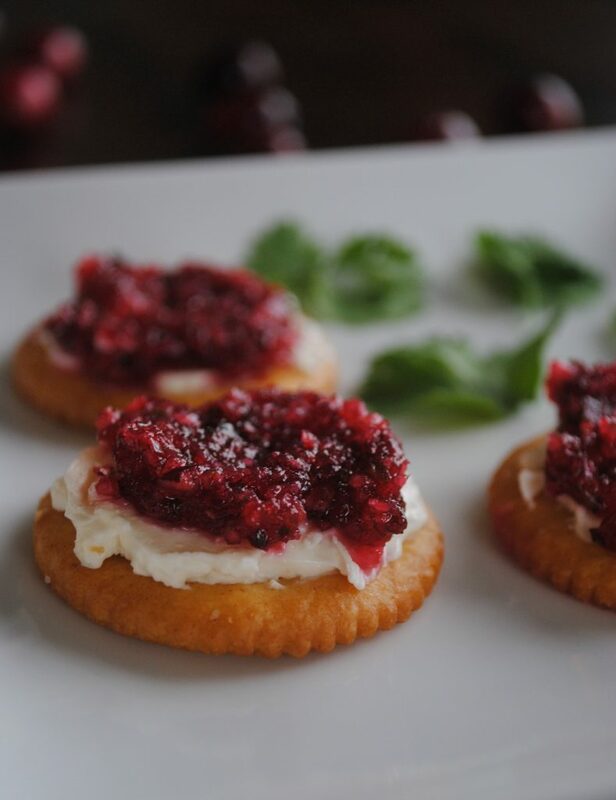 For an individual appetizer, spread softened cream cheese on a Ritz Cracker and top with a spoonful of cranberry salsa. Garnish with cilantro if desired. To freeze, make your salsa mixture and place it in a freezer storage container. I love these durable Pirex dishes for freezing and storing. Take the cranberry jalapeno salsa mixture out of the freezer and place in the refrigerator the day before serving to thaw. Once thawed spread, over top softened cream cheese and serve as directed above. Recipe slightly adapted from Mel’s Kitchen Cafe. Halve and seed one jalapeno. Rough chop your green onion just enough to fit in your food processor. Place jalapeno and green onion on the bottom of your food processor. Dump a 12 ounce bag of cranberries over top of the jalapeno and onion. Juice one large or two small lemons. Add your cilantro, sugar, salt, and cumin. Pulse food processor until all ingredients are finely chopped and well mixed. Refrigerate mixture in a container and let flavors meld overnight. When you're ready to serve, spread softened cream cheese on a serving tray. Cover with cranberry jalapeno salsa mixture. Allow dip to sit fully prepared into the refrigerator for about an hour before serving. Serve with your favorite cracker or corn chip. 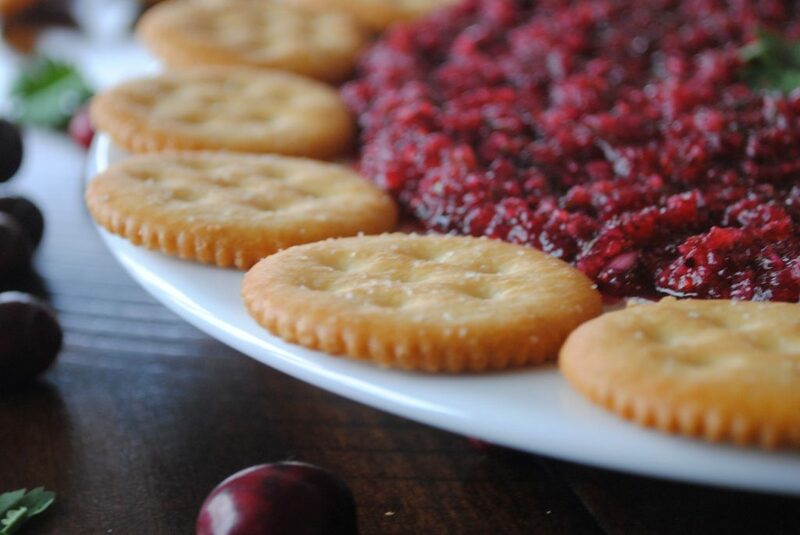 For an individual appetizer: Spread softened cream cheese on a Ritz Cracker and top with spoonful of cranberry salsa. Garnish with cilantro if desired. To Freeze: Prep your salsa mixture and place it in a freezer storage container. 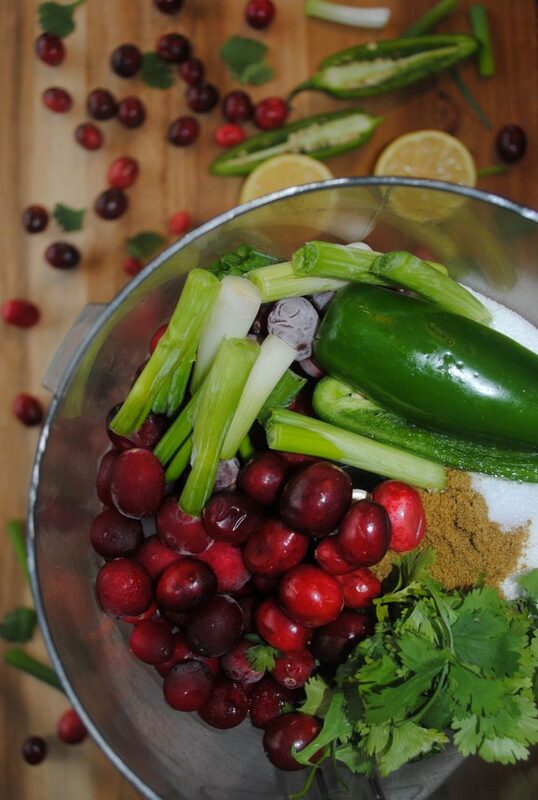 Take cranberry jalapeno salsa mixture out of the freezer and place in the refrigerator the day before to thaw. Once thawed spread, over top softened cream cheese. Serve as directed above. Serve and Enjoy! What’s your favorite fall and winter appetizer? If you’re looking for more cranberry recipes, check out this cranberry applesauce. For more appetizers, check out 5 minute salsa, banana pepper salsa, and peach caprese salad. Mama In The Midst contains affiliate links. Thank you for clicking around my site! This was so delicious!! I remember when you served this and it was so crazy delicious and i’m so excited to have this recipe! Oh, thank you!! Yess!! So delicious! I love how easy it is, yet looks fancy! How many does this feed? Looks amazing! It feeds a crowd. It takes up a large serving dish. Hope you enjoy! Hello, friends! I’m so glad you’re here! Welcome! Let’s get to know each other. I’m Jody. 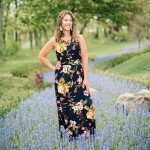 I’m a farmwife in the Midwest raising kids and crops in the middle of nowhere. I am a stay at home mama of four children 8,7, 4, and 3; wife to a crazy hard working man.